I love gadgets. Drop me off at a kitchen store and I will spend hours going from one corner to the next discovering all the new inventions out there to make my life easier. I don’t usually buy much because, in the end,I many things are just as easy done the old way. There are notable exceptions. The microplane is something I will not do without and actually replace them with a new shiny one almost every year. My newest favorite is one I have been looking at for a long long time but kept thinking, why spend the money when you can really do this just fine by hand. Fast forward to a few weeks ago when I was in this amazing Restaurant Store near Lancaster PA, (The Resturant Store by Clark Restaurant Equipment) I love it there, much like my husband loves hardware stores, this to me is an afternoon of pure bliss. I saw lots of things I sure would love and could use but in the end came home with this little yellow lemon squeezer, some small glasses for individual trifles and a few small odds and ends. 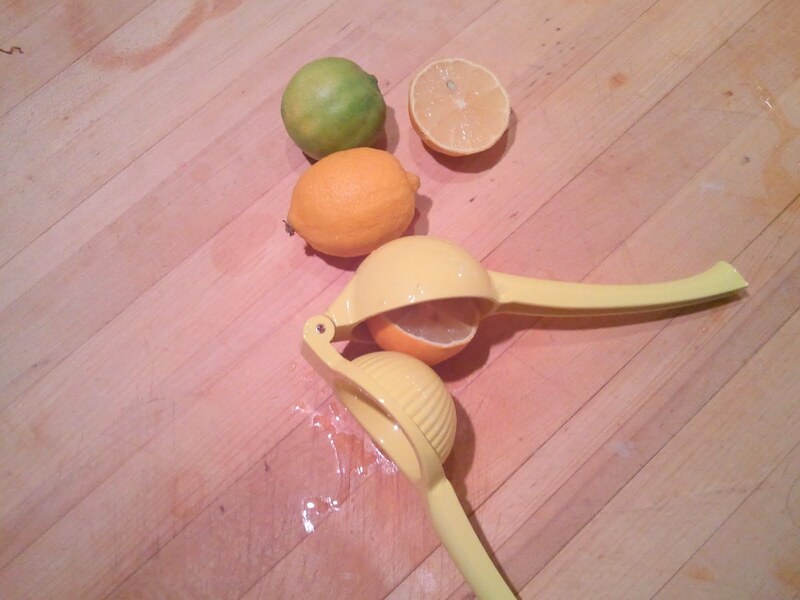 In the weeks that followed I have totally fallen in love with this lemon squeezer thingy. Granted, I use a lot of citrus. Lemons, limes, oranges…. all of them go into baked goods, drinks and fruit recipes. We do lemon brandied apples often this time of year and this little gadget has made that process a snap.. and no seeds. If you are looking for a nice little hostess gift for a friend who loves to cook, this is the ticket. Find them at TJ Maxx or Marshalls, William Sanoma or any old kitchen store. Buy a few. You will love them as much as I do. Stay tuned to the 8Broads for more favorite gadgets. In March I am visiting the International Housewares Show in Chicago. I am positive there will be a “must have” something there that I will be dying to share. It is very good gadget and help you make things quickly. Do you have any travel experience which you can share here?